Is Metabolism Slower in the Obese? I’ll give you some background. 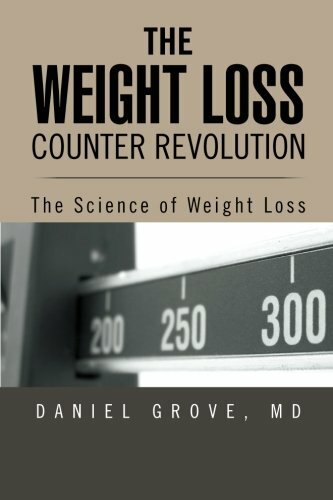 I have found a significant amount of evidence related to the connections between genetics, metabolism, and obesity. You’ll have to read the book (please do, my kids need new shoes) to see the details but the bottom line is that the preponderance of the evidence shows no significant link between differences in metabolism and obesity that cannot be overcome by lifestyle changes. In fact, I have found evidence that the bigger you are the faster your metabolism is. This often comes as a shock to people so I’ll repeat it: the more you weight, the faster your metabolism. I’ll plan a future post explaining this, but suffice it to say I was a little concerned that a main component of my book was being upended. The study reported on by the BBC focuses on a protein that acts as a scaffolding for many aspects of metabolism in a cell. The details are dense and above our paygrade. The important thing is that mutations in the gene that makes this protein leads to obesity in mice. The researchers analyzed this gene in humans to see if it has the same impact. They found a population of individuals who had been obese since before the age of 10. These were compared to normal folks to see how this gene is associated with obesity. They found that the presence of this mutation leads to early onset obesity through decreased metabolism and increased food intake. This information would lead us to believe that our weight truly is out of our control; that we are slaves to our genetics and metabolism and might as well give up and have a milkshake. Before you jump, a few points to pull you back from the ledge. 1. The mutation was only present in 2.1% of obese patients and was also present in 1% of non-obese controls. This means that even if this mutation does affect obesity, it only accounts for a very small percentage of individuals. The prior evidence showing increases in metabolism with increased weight may still hold true for the other 98%. The fact that the mutation is present in 1% of controls suggests that this is more complicated than it appears. 2. These were extremely obese individuals who were heavy from early in childhood. This is not the majority of obese people in America. 4. Most of the genetics of obesity revolves around the regulation of appetite. Most people are obese because they eat more than the non-obese. Any genetic influence on appetite could lead to significant weight gain but if calories are equal between those with heavy genes and those with slim genes, weight will be equal. Now for my motivation, not just for this post but for the book in general. The reason I think it is so important to avoid over emphasizing the impact of genetics and metabolism on obesity (especially in the news media) is that the only true path to successful weight loss is one that empowers the individual to action. Fighting against us being in action is the voice in our head that says there’s no point, it’s just not worth it. You may know this voice. It is what makes it hard to get out of bed, go to the gym, or admit you’re wrong. That voice loves to hear about the genetic and metabolic links to obesity. These links imply that there is a force beyond your control that makes weight loss impossible. The reality is that investigation of the evidence as a whole and in depth supports the truth that it is possible for anyone to lose weight. If you don’t believe me, you only need to direct your attention to people who have done it. I know many. You may have bad genes and slow metabolism but it’s not likely. Even if you do, this only means that the journey will be more difficult for you; difficult is not the same as impossible. You can lose weight. You can climb this mountain. The truth is that most things we see as holding us back from the achieving the goals we wish to achieve are that little voice taking the facts and twisting them in the name of keeping us from acting. The voice knows that, once you get going, anything is possible. So get going. When I started to read the article I was indignant to see these explanations about genetics and fast metabolism of fat people, but thank you for a reasonable ending. For me it has become obvious some time ago that to keep fit you should eat less and train regularly, by the way some tricks like ginger tea, spicy drinks and healthy nutrition will increase your metabolism. You can also achieve good results with short yet intensive regular interval training, which also influence your metabolism. Everybody can achieve results, I am sure.